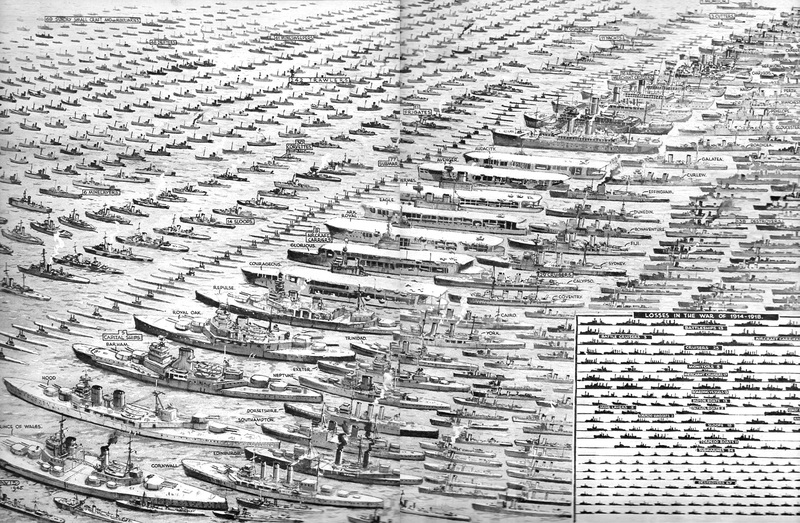 I just love these old school visualizations: here are all the ships lost by the British Navy during World War II. Many of these were hunt down by Nazi U-Boats. It's a staggering amount but it could have been a lot worse.